This is another former Gold Key title that Dynamite is bringing back. But unlike the others I have read this one really impressed me. This title feels like it was made just for me. Doctor Spektor is a reality show star, who tracks and takes care of urban legends and mythical creatures. He really likes to reveal frauds it seems. He also has serious depression issues which makes him a better character. 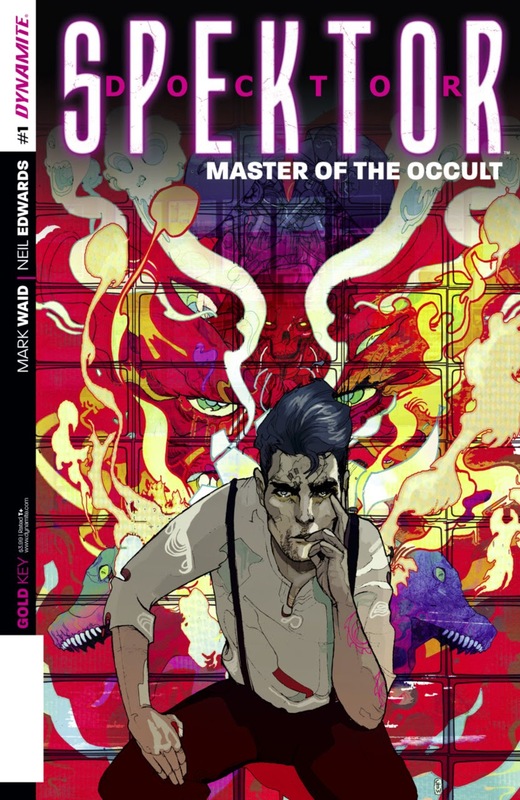 This first issue begins with Spektor finally tracking down an old vampire after a long investigation. The battle is proof that Doctor Spektor was the influence for characters like Dr. Strange and John Constantine. After the fight is where Spektor truly became a good character. He has very human flaws that show when he is at his highest. He is practically crippled by the fear that he will fall after major success. Then there is the his new “assistant” who is responsible for keeping him from falling completely off the rails. I am a big Mark Waid fan after borrowing his run on Captain America from a friend. It’s only one issue in, but it feels like this could be some of Waid’s best work. The characters seem flushed out and the world feels believable and lived in. I am not really familiar with Neil Edwards art, but this book is perfect for his style. Edwards has a talent for the hard fantasy aspect just as much as he does for the normal everyday sides of the story. I will be continuing on with this series. The characters are compelling and relatable and the style is right in my wheelhouse.